As a young adult, Ike was asked to perform missionary service in 1982. This was a foundational experience which culminated in the opportunity to work with the mission president as an assistant. In that capacity, Ike participated in an educational program that taught hundreds of people time management skills in a series of seminars. The lessons learned were invaluable and became the beginning of his interest in organizations and organizational behavior. In 1984, Ike returned from missionary work to continue college. While at Mesa Community College and then to Arizona State University, Ike worked as a staff accountant at a CPA firm called Vance, Messmer & Butler. There, he did small business accounting as well as tax preparation and assisted in on-site audits. Personal computers were coming into the workplace and Ike was involved in creating new computerized systems and processes that automated many functions including tax return processing. He taught himself how to create complex custom data bases to manage client contact data and document processing for five high-volume tax seasons. This became such a valuable function that he was asked to return to set up processing for several subsequent seasons. In 1988, an opportunity arose to take a leadership role as Controller at Implant Technology Center in Tempe, Arizona. This was a young firm that performed clean room services for an ion implantation process making computer chips. The new start-up was in Chapter 11 when he accepted the challenge to help navigate the process of creating a re-organizational plan. This time working with a legal team and providing specialized reporting provided him invaluable experience. This experience laid the foundation for business caution and knowledge that he has continued to draw upon. Ike reached a fork in the road when he was introduced to the President of North Star Plumbing in 1990. This was a relationship that lasted for a solid decade on a professional level but has continued on a personal level to this day. At the time, Ike accepted the position of Controller only to discover that the company was suffering from the effects of an ongoing recession. A major customer which owed the company hundreds of thousands of dollars failed. One of Ike's first tasks was to negotiate long-term notes with it's three major suppliers. In the subsequent years, those notes were executed in full and all were satisfied. Ike worked closely with the company president and management team to increase sales from $2,000,000 in 1990 to over $10,000,000 by 1999. This growth necessitated the need for a line of credit which Ike negotiated with Wells Fargo Bank, obtaining financing for $1,000,000. The president of North Star Plumbing built a state of the art facility and with Ike's help, moved the entire operation from Mesa to North Scottsdale. The company made a huge transition from construction of tract housing to specialization in large custom homes. While working at North Star Plumbing full-time, Ike attended night school to obtain two degrees from the University of Phoenix including an MBA. Both programs were completed using the practical application of work experience. The final project required for his Masters in Business Administration entailed a business plan which he created based on a proposed service division for North Star Plumbing. This plan was eventually implemented. In the final year of his employment with North Star Plumbing, Ike stepped out of the Controller's position to become Vice President of a new service division. This new division was Ike's idea and was implemented following an intense study of the industry which is distinctly different from their primary construction business. 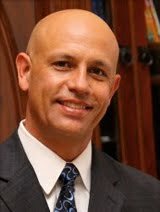 He traveled to San Diego to attend Maio University for a series of seminars where he learned systems and processes and the many unique characteristics of the industry. The operation was started with four trucks and a small office. It grew to sales of $80,000 per month within the first six months of operation. Ultimately, North Star's construction divsion was sold and what remained continues to operate today as North Star Services in Tempe, Arizona. 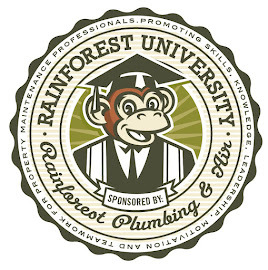 Since 1999, Ike has operated Rainforest Works, Inc., the corporate umbrella of Rainforest Plumbing & Air. The name was changed from Rainforest Plumbing Works in February, 2009 when air conditioning and heating services were added.